We kick off the third day of the 2015 Coffee Spot Awards with the shortlist for the “Coffee Spot with the Best Outdoor Seating” Award, celebrating all those wonderful Coffee Spots with excellent outdoor seating. This was won last year by Fernandez & Wells, Somerset House. To qualify for this award, it’s not just a case of sticking a couple of tables or chairs on the pavement outside your coffee shop. Too often, what could be a lovely spot is marred by traffic noise, or cramped conditions, or just being in the wrong place. The best outside seating is often away from the road and passing pedestrians and offers shelter from the wind, rain and/or sun (although rarely all three at once!). Fortunately, there are plenty of Coffee Spots which do exactly that and this is one award I could have filled many times over! Glasgow‘s Siempre Bicycle Café kicks things off with a lovely, large, sheltered garden at the back of an already enormous café. There are lots of seating options and plenty of bike racks, which one would expect for a bicycle café. Other than a skyline of tenement buildings, you could be forgiven for thinking you were in the heart of Glasgow. 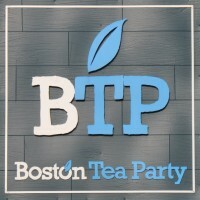 Great outdoor seating is a feature of many of the Boston Tea Party’s branches. However, the Honiton branch is one of the best. Housed in Monkton House, a Grade II listed building, it puts the large back garden to good use. Long and sheltered, it’s the perfect spot to kick back and relax in the summer. 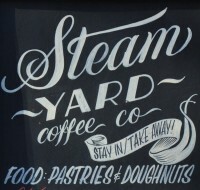 Sheffield‘s Steam Yard is at the back of Aberdeen Court, just off Division Street. Aberdeen Court is a fairly small space, lined by two-storey brick-built buildings on three sides, with the back third given over to Steam Yard’s outdoor seating area, screened off from the rest of the yard with several large planters. KuPP has a row of tables outside in the sun alongside the canal at Paddington Basin. 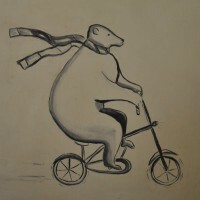 In the summer, the windows are thrown back, the cafe flowing out onto the canal side. 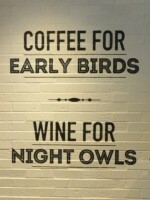 Also shortlisted for the Best Takeaway Coffee Award. One of the new branches of Notes, the King’s Cross branch is on Pancras Square. This is a sheltered spot out the back of King’s Cross Station and Notes makes good use of it, with tables spilling out between the café and the water feature on the far side of the square. There are more tables lining two sides of the café, providing some shelter from the elements. Also shortlisted for the Best Coffee Spot near a Railway Station Award. The second Sheffield Coffee Spot on the shortlist, Marmadukes Café Deli is on the quiet Norfolk Row which runs behind Sheffield’s Catholic Cathedral. Marmadukes makes good use of the street, with a array of tables spread out in front of the café, separated from the street by some lovely planters. 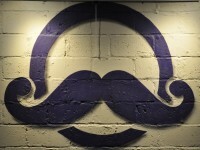 Marmadukes has also been shortlisted for the Best Physical Space, Happiest Staff and Best Breakfast Awards. Bridport’s Soulshine is another Coffee Spot with a sheltered garden out back, complete with long, communal, picnic tables. Also shortlisted for the Most Unlikely Place to Find a Coffee Spot and Best Cake Awards. The original Boston Tea Party, on Bristol‘s Park Street, holds a special place in Coffee Spot lore and I’m very fond of the garden out back. I returned this year to find that there are now two gardens out there! Double Coffee Spot heaven! 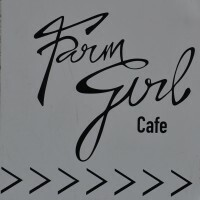 With its sheltered courtyard just off Portobello Road, Farm Girl Café has a lovely outdoor seating area. It’s not huge, but with its high, whitewashed walls on all sides, it’s a wonderfully secluded area that’s delightfully cool in the summer, although not the best spot to catch the sun. Having sat there in November, I can also vouch for it as a great winter spot! Also shortlisted for the Best Neighbourhood Coffee Spot Award. Set in the lobby of New York City‘s High Line Hotel, Intelligentsia has not one, but two gardens, one out front on 10th Avenue and another, even better one, out back in a sheltered courtyard. Also shortlisted for the Best Espresso Award. Right in the heart of Nottingham, The Pudding Pantry has a wonderful outdoor seating area on the broad, pedestrianised Trinity Square. It’s complete enclosed and best of all, The Pudding Pantry offers full table service, so you don’t even have to wander inside to order. 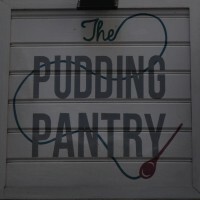 Perhaps unsurprisingly, The Pudding Pantry has also been shortlisted for the Best Breakfast Award. Boston Tea Party in Ringwood with another large seating area on a pedestrianised square.